We All Love to Blog! Happy Weekend! Check out our different teams members blog about their favorite events, local, nationwide, and international news. We love to share regarding important issues that affect our communities. We will all have our contributions as we all have our own plights in life within our very own disabilities. Currently, Staff Writer, and Community Advocate, Mr. David Bass has a video – blog going. Check him out, as we appreciate his social activities and his humor! At a quiet cabin behind the church where the first face-to-face Deaf Con meeting took place, there are some deaf and ASL/interpreting college students attending the meeting where Leyel Hudson had presided this evening. The agenda for the evening is to get the new event, Deaf Con, up and running by determining which area that are need to be address to make it a successful project. We had special guests at the meeting, Melody Brzezinski-Ynfante and Kate Pettijohn from Comicpalooza to give us their shares of experiences and invaluable advice behind the scenes at Comicpalooza and Texas Renaissance Festival. In addition, they were more than happy to join our online planning team for Deaf Con! We discussed many important issues that will bring challenges to us to ensure that we can achieve our goals and be sure that we also follow the rules of the land as well. We will have a logo contest for the deaf and hard of hearing community from all over the United States very soon. It will be opened for those who are 16 years old and above. With the help of Kate Pettijohn, we will make the winning logo copyrighted symbol with some royalties to the winning designer. Each of us took a turn in discussing which issues that we can work on such as admission, booth, security, media, and hospitality for special VIP guests, and other issues. Some of biggest issues we had is security because of recent disappointing news of Texas government passing of on-campus carry gun law that actually threatens the safety of students and guests at Texas colleges, especially Lone Star College-CyFair campus where the Deaf Con will be located. Melody Brzezinski-Ynfante gave us an answer by saying that the Deaf Con is a “private event” on campus, therefore, we will have the right to keep out those gun-carrying people from the event. Everyone was relieved to hear this answer that we will have a gun-free event. As for cosplay guests, they need to “peace-tied” or zip-locked their swords or have an orange tip on toy guns. We discussed admission. There will be a bracelet for general admission while VIPs will have a badge. We will have a different color of bracelet for each day or the whole weekend for guests. We have not determined the costs yet, but we agreed that the special VIP guests will make their own costs for their photos, autographs and photo sessions to our Deaf Con guests. Those who have booths will have their own special bracelet or badge so that they will be able to roam the events and to come in and out the event. We will have various types of people promoting their products from artists to writers at their booths. There will be a team of photography to cover the events, the photo op with special VIPs, and other things that are connected with the event. We will advertise for professional and amateur photographers to help with the event soon. There will be a tier of sponsorship for the event. We will have few level of tiers for who pay certain amount of funding and the sponsors’ company names and logos will be on back of Deaf Con volunteers and staffs t-shirts as well as on advertising and other things. Some sponsors will have booths while others will just give us some funding. We will have both volunteer and professional interpreters for the events from Lone Star College and other area colleges along with sign language interpreting agencies such as Sign Shares, Inc., and others. There will be no competition among anyone at the event as it is a community-wide event. Soon, the meeting was over but that did not end here. Melody Brzezinski-Ynfante and Kate Pettijohn stayed on for the “Renaissance Costume on Budget” workshop for Leyel’s “Signs of J.O.Y.” biweekly event in same building. She had a demonstration on how to get various Renaissance era Gypsies clothes and use it. It has been very educational for the people. The clothes were very colorful and easy to use. She said that you can get shirts and skirts from Wal-Mart and other stores. Other fabrics such as pillow case and other can transform apron and other things on the dress, etc. Very informative and educational. Soon, we stayed on for chats after the special guests left. Vlog and Blog for Sign Shares! Now that our Sign Share, Inc. website has new looks and is back online. Something new on that website is the Blog/Vlog section of the website that we can share our stories, social events, important information, and other things that we want to share with our community. First of all, let me tell you a little story about it. When we finally got the website back up and running, we got the blog website for it. However, I was unable to get vlog (video blog for deaf using sign language) connected to the blog, as many deaf people prefer to see signing video than reading blog, because it was new. So, I had to learn “this and that” to find a way to get videos on my blogs and other part of the website. Finally, I was able to get it working by linking my newly set-up YouTube account that I have to create only for Sign Share instead of my personal account. Then I read the blog and translate it into sign language (ASL) for the video and post it together with the blog. The purpose of having both blog and vlog on same section is to ensure that both deaf/hard-of-hearing can watch the vlog while hearing read the blogs. Some of you may have noticed that the blog and vlog are not exactly the same way because ASL use different grammar method from written English. We want to ensure that everyone can have access to our blog/vlog regardless of their disabilities. Now, if you have anything that you want to share with the community, please feel free to let us know so we can share with the community by emailing to me at dbass@signshare.com or leave comments below. Deaf Awareness Days at Texas Renaissance Festival! This year is extra special! Why? Because there will be two days of Deaf Awareness Day at the Texas Renaissance Festival. It will be on Nov. 7 and 8, 2015. Before, there was just one day of Deaf Awareness Day for a few years. This year is the first time it has expanded to two days. Most of the ASL interpreters are volunteers from area colleges, such as Lone Star College and the University of Houston. You can volunteer and have fun too! You can contact Brandy Cabe at brandylcabe@katyisd.org if you are interested in volunteering as an interpreter while having fun there. Yes, you can dress up in Renaissance garb as many of the volunteer interpreters have done in the past and will continue to do this year. 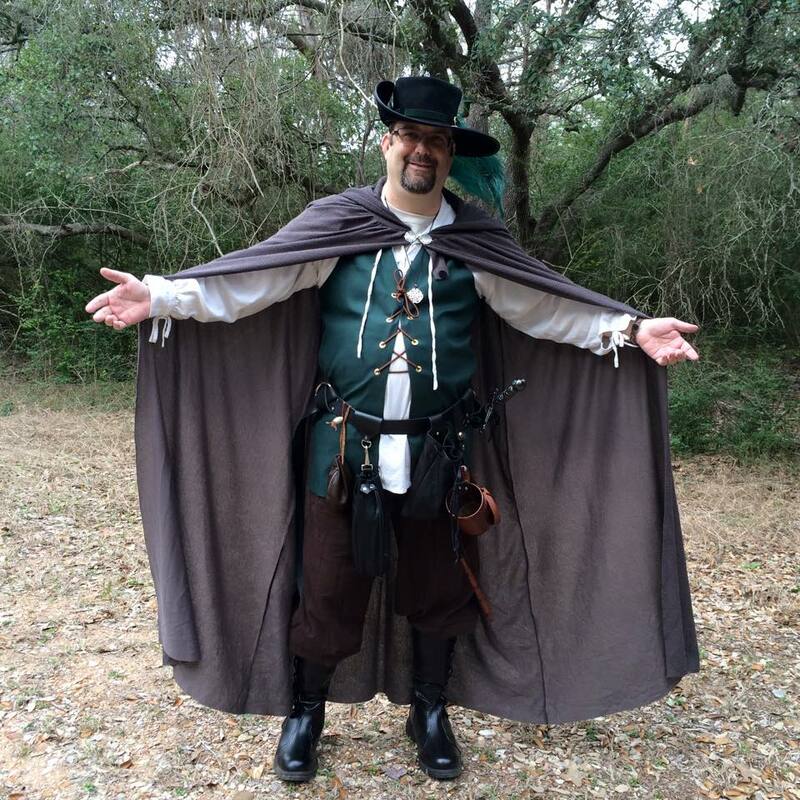 You can check it out at their Facebook page, https://www.facebook.com/DeafASLRenfestTx?fref=ts I will be wearing a full Renaissance garb or Celtic kilt garb at this event because I am an amateur historian and proud of my Celtic heritage. I will be there two days straight that weekend as I will be staying at their campground and I will be wearing two different garbs each day. If you go there on that weekend, be sure to find me in my Renaissance garb or Celtic kilt garb. Maybe hang around with me at my camp afterward or during chowtime breaks. The Texas Renaissance Festival is a great place for family and people who want to learn about what life is like during the Renaissance era. There are many people dressed up in the period garbs. Many stores sell garb and other Renaissance-related items. There are shows and presentations on many Renaissance-related subjects and entertainments. My personal favorite is the birds of prey show where they show different birds and some fly around the arena. If you have any questions about certain events during the Renaissance era, you can ask me about it and I will be glad to answer! There are activities that you can participate in, such as archery, axe throwing, and others. And, yes, you can even have a wedding there – of course, you have to contact them to make arrangements! Be sure to wear comfortable shoes and, if it rains that day or recently rained, wear your old shoes or rubber boots as the ground can get muddy in some areas. If you have any medieval or Renaissance costumes, wear it there! For more information about event, go to www.texrenfest.com and have a blast of a time! 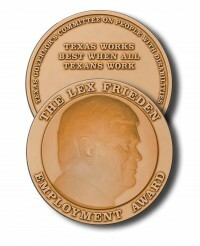 The Texas Governor’s Committee on People with Disabilities has announced the winners of the 2015 Lex Frieden Employment Awards and Sign Shares, Inc./International of Houston won the Lex Frieden Award for Small Employer. The award recognizes employers in Texas who have fostered a diverse and accessible workplace and who have developed innovative ways to integrate people with disabilities into the workplace. The ceremony will be at Fort Worth Convention Center on Wednesday, Oct. 21. You can join us in congratulating the Sign Shares at the ceremony by going to their website, http://www.fwmcpd.com/2015-lex-frieden-awards-luncheon.html and click online tickets for purchases. Eva Storey is very thrilled to have won such an honor. This award would give a positive reputation to our agency and its staff to the community and beyond. Sign Shares is a full-service, turn-key, interpreting agency, servicing both Deaf and hearing/foreign speaking individuals on an international level. The company embodies a philosophy of mutual sharing and independent living by having employees with disabilities in staff and management, supporting inclusive environments, and providing advocacy to the global community regarding the needs of people with disabilities. The company’s Executive Director, Eva Storey, will collect the award during the Annual Employment Awards Ceremony at the Fort Worth Convention Center on Wednesday, Oct. 21 from 11:00 a.m. – 1:30 p.m., which will be hosted by the Fort Worth Mayor’s Committee on Persons with Disabilities. A link for ticket purchases to the event and sponsorships is posted on the Fort Worth Mayor’s Committee website. Perhaps, this news would encourage more people to use our service at Sign Shares and let them know what a great service we are. Let’s show the world what Sign Shares is made of! Welcome to Sign Shares Blog! We can tell you about what’s up at Sign Shares, our community, and whatnots! We also will give blogs about some issues, social events, and other community-wide stuff. We will have some Vlog (Video Blog for the deaf community using sign language) as well. If you have any comments, information about social events, any issues facing the Deaf community, please feel free to contact me at dbass@signshares.com and fill me in! You will be updated on Medical technologies, Our Theme’s for the Week, Domestic & International News, Educational News, Job related News, Movie Picks from Our Staff, and Some Cool Things to Check Out local, or from wherever your community is, so please provide us informations about what makes your community great! This Blog is for people of ALL DISABILITIES. So your shares and events are important. We will have our comments monitored, so this blog page is not our comment page. It is for your happy reading pleasure. We are proud to always ADVOCATE, EDUCATE, & LEGISLATE! We welcome your stories about hardships, injustices, positves, mentorships, and more! Stay tuned! Love & Light, The Sign Shares Team Family!